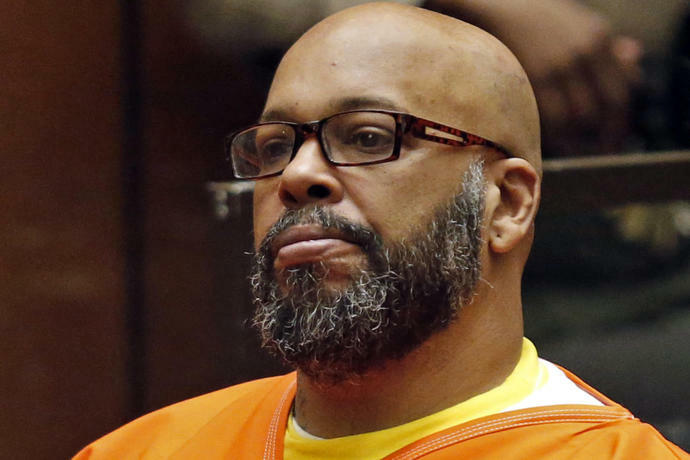 LOS ANGELES (AP) - A judge on Thursday sentenced former rap mogul Marion "Suge" Knight to 28 years in prison for the 2015 death of man he ran over outside a Compton burger stand nearly four years ago. Carter's daughter Crystal called Knight "a disgusting, selfish disgrace to the human species." Knight wore a large cross and orange jail attire during Thursday's sentencing, which draws to a close a nearly four year court saga over the fatal 2015 confrontation. He had been fighting with a longtime rival through the window of his pickup truck outside the burger stand, struck that man with his truck before running over Carter. Knight has felony convictions for armed robbery and assault. He lost control of Death Row after it was forced into bankruptcy. 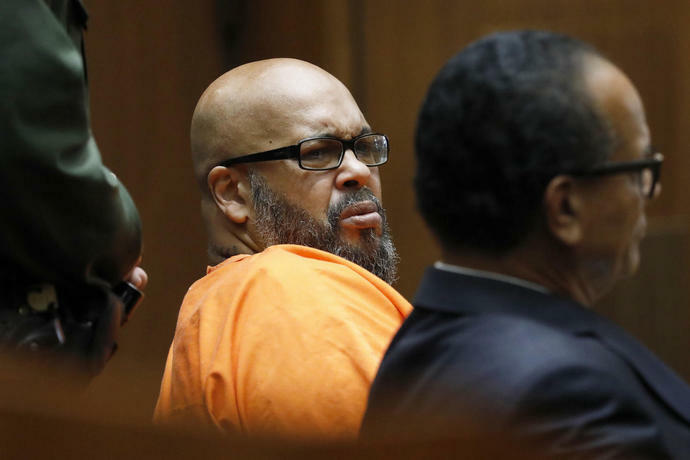 His previous convictions make him ineligible for probation, Los Angeles Superior Court Ronald Coen ruled.